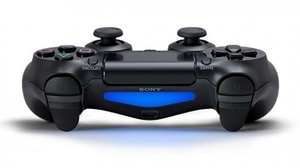 Valve has confirmed that you will soon be able to use DualShock 4 controllers to play games on Steam. An upcoming Steam update will "add full configurability to controllers other than the Steam controller," starting with the popular PlayStation controller. Using the controller is "exactly the same as a Steam Controller. You make the exact same API calls, you only get actions, not inputs, and the Steam API takes care of everything." "It's also got a gyro and a touchpad, so it's got a lot of overlapping functionality with the Steam Controller," adds Jeff Bellinghausen of Valve "Also, existing native support for the PS4 controller on the PC is a bit weak; in this case Steam itself is communicating directly with the device so everything [is] nice and reliable." Support for other controllers is on the way, as well, adds the company.